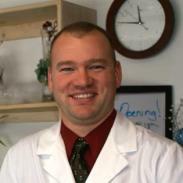 Chiropractic: NW Family Chiropractic, P.C. | Salem Business Builders Inc.
Chiropractic: NW Family Chiropractic, P.C. Business Name: NW Family Chiropractic, P.C. We are a full service chiropractic clinic located at 1797 Lansing Ave NE in Salem, Oregon. We are excited to be here and to have the opportunity to bring better health to our patients. Chiropractic is a natural way to help you achieve optimal health. Since its beginning in 1895, people from all over the world have experienced the benefits of this healing art. Ideal Customer: Anyone looking to be healthier! Chiropractic affects all areas of the body by affecting the nervous system. Check out the diagram below to see some of the areas that Chiropractic can have an affect on!